The day before the event my S2 was booked to make tonneau cover: The final touch of my 3 years rebuild ! When Ben is not working on upholstery at Vamped trimmings he plays music in a group. I was lucky enough to start my 70th with live music during his test session on Tuesday night ! 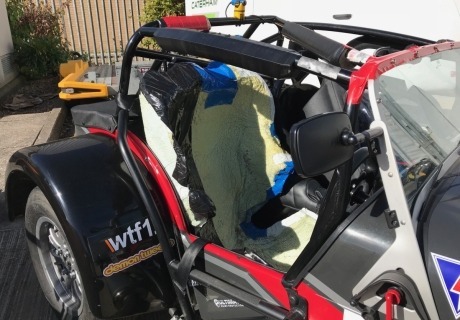 Friday was a mix of tonneau cover tailoring lesson and quick look at Crawley showroom where I spotted the master of a toy most of us have at home and also M.Wary seat (French equivalent of Mister Men's Mr Prudent) ! 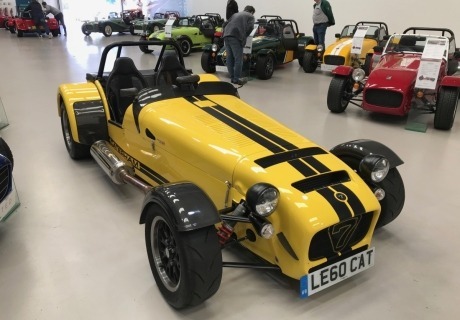 On Saturday exceptional sunshine magnified 70th with a good mix of factory visit (widely opened), cars display and Classic Team Lotus F1 evolution on track. My favorite was the type43 F1 with its BRM H16 engine: Amazing sound ! James Whiting Serie2 was the perfect 70th car with its Lotus livery and 70 race number: Well done ! 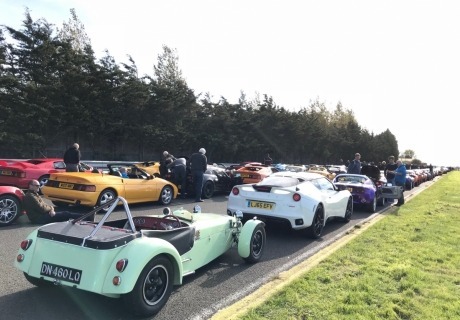 On the down side parking could have been made by decade to avoid having the early cars lost in an Elise field…as exit streamer said “See you next year”. I’m sure this will be improved in future. 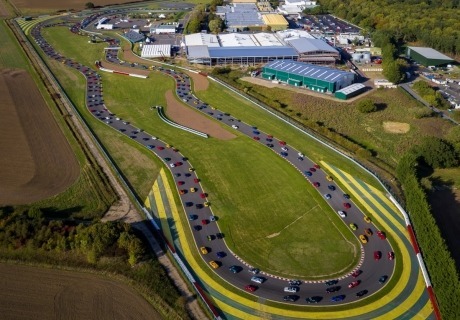 Parade laps were the climax of this fantastic day with 700 Lotus on the track at the same time. A perfect way to show our passion for the 7 exciting decades of this iconoclast sportscars manufacturer. Fingers crossed new Chinese ownership will offer us exciting news soon and for a long time !